HomeArticlesHow Often Should I Focus on SEO and Blogging? How Often Should I Focus on SEO and Blogging? Personally, when I think of Search Engine Optimization, I think of reading books or watching movies. Search engines read content much like we read books and watch movies. We choose which books we want to read or what movies we want to watch based on the titles, pictures and trailers. If we don’t like what we see at a quick glance, we pass. 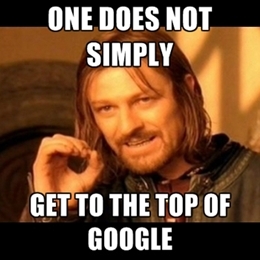 First impressions help us determine if something is worth our time, and SEO is much the same. Search Engine Optimization is one of my favorite strategies that I teach in detail in my Fast Track Profit System. I’ve learned to do it better than most in the industry. Secondly, let me preface my answer to that great question by saying this: Perpetually updating your real estate investment blog with fresh content is your key to seducing Google into better ranking your site on a regular basis. If you continue to add crisp, new content to your blog with relevant key words, you will find SEO and blogging to be one of your most effective traffic drivers, hands down. I coach readers through this practice in depth in my Fast Track Profit System, and today I’m going to share a few more thoughts on SEO and why it’s the winning key to your success. Did you know that more than 91% of lead generations come from page one when someone initiates a search online? That means most people never click “next page” to get to page 2, or anything beyond, if they don’t think they’ve immediately found the answers to their questions. The bottom line is if you want to successfully capture leads from your website and blog, you better show up on page 1 of a relevant search. I spend 20-30 minutes every day on SEO techniques. Is it a never-ending process? Sure. But the infinite task of SEO marketing over time will build and build until you eventually get so much content out there that people will find you, naturally. Content is king. Fresh, new, relevant content that speaks directly to your audience with a specific message and call for action is your winning ticket. Too busy to create content regularly (you better be blogging at least weekly, by the way)? Don’t sweat it! Hire a ghostwriter who can capture your voice and your personality. Have your virtual system in place, and find someone who can write, someone who – by the way – doesn’t have to be real estate savvy, necessarily. Save time, energy and money by repurposing content. It’s a beautiful thing! Simply have your writer rewrite existing content – content that may not have been written so well in the first place. Make it more powerful, sexier and easier for your readers to understand. Most importantly, always write with a purpose. Create content with reason and wrap it around local search phrases to maximize your SEO efforts. Patience is a virtue. 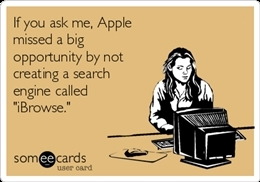 If you’re looking for instant SEO gratification, keep looking. Seeing measurable SEO results take times, months even, so stay the course and stay focused. You are an investor, after all. You’ve already mastered the art of patience, and you know what it means to have razor sharp focus, so you’ve got this! SEO is indeed a proven strategy (when done right) so keep your content new, fresh and relevant. In the time it takes you to check out the day’s newsfeed on Facebook or watch the latest (DVR’d) episode of House of Cards, you could be focusing on SEO strategy. Remember, people want great content that helps them solve their problems, so write with a purpose. Search engines are out there to help people find the content they need (not to necessarily build your business), so personalize it, localize it, and deliver… every time.